Mr. Cyprien Hindeme is a vegetable farmer in Southern Benin. 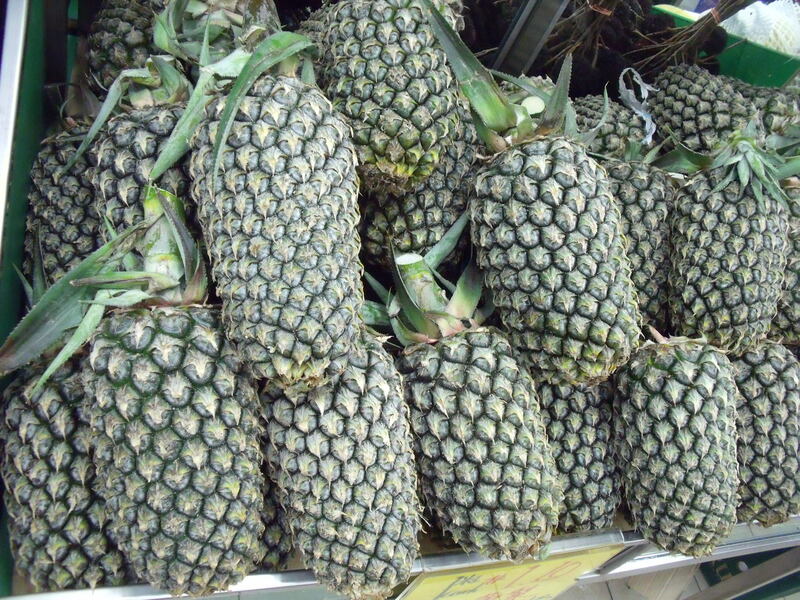 He supported himself and his family by growing and selling vegetables and pineapples. Like many farmers in Benin, Cyprien was never formally trained in cultivation techniques or marketing. Cyprien participated in PfD’s GREEN project trainings, which taught him modern cultivation techniques to improve his vegetable crops and other important farming skills such as the proper use of chemical fertilizers and pesticides. Through the practical marketing workshops, he also learned how to become market orientated in his production and continues to use the weekly vegetable prices he receives through SMS messages on his cell phone to negotiate sales of his cabbages and other vegetables even before they reach the local markets. This not only ensures he gets the best prices for his produce, but it also cuts down transportation time and costs and reduces post-harvest losses. Cyprien also saw an opportunity for his pineapple grove. 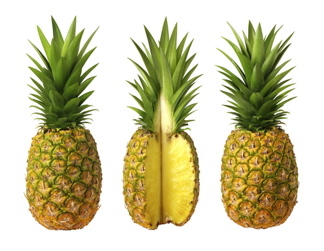 After witnessing the success of the GREEN project techniques with his cabbage, Cyprien decided to use this knowledge and skills to improve his Sugar Loaf pineapple production. 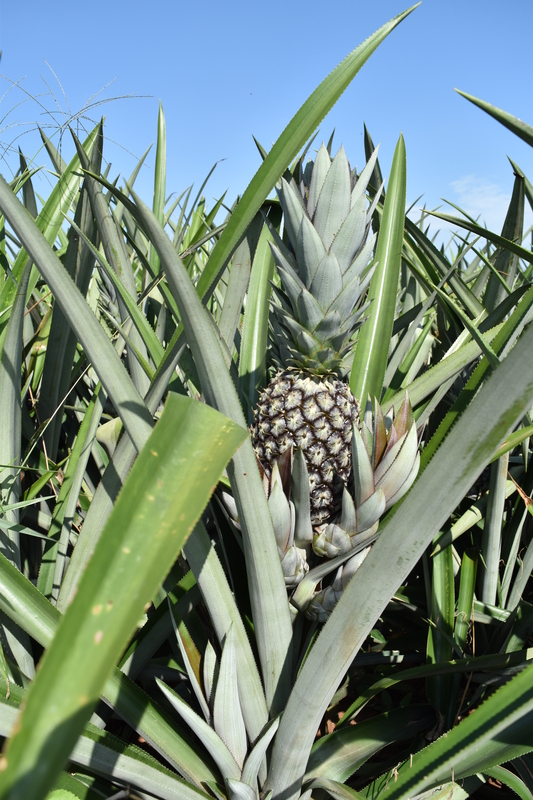 He modified his use of fertilizers and insecticide to be in line with GREEN recommendations, resulting in larger, juicer pineapples. He also used his learned marketing skills to research the local and regional pineapple markets and diversify his clients. Now Cyprien delivers his higher quality pineapples to wholesalers in Togo and Burkina Faso, while still servicing his local market buyers. He also now supplies his top quality fruit to three prominent hotels in the Atlantique Department. Altogether, these sales generated 1,200,000 CFA ($2,400 USD) for Cyprien during harvest time. With this additional income, Cyprien sent one of his children to Benin’s agricultural technical college, ensuring his future and the continued success of his family’s farm. He also bought laptop computers for both of his children attending university, enabling them to develop marketable computer skills. Cyprien’s drive to build a better life for himself, his family, and his community, allows him to proudly declare #IamPfD. In Benin as many as 45% of children under five suffer from chronic malnutrition. This causes “stunting,” a condition and their weakened systems leave them more susceptible to other health problems, and worldwide, malnutrition is seen as a major contributing factor in half of child deaths. Malnutrition is an immediate and serious health problem in Benin. To combat this persistent health menace, Partners for Development (PfD) in Benin expanded the scope of activities to include practical nutrition education. 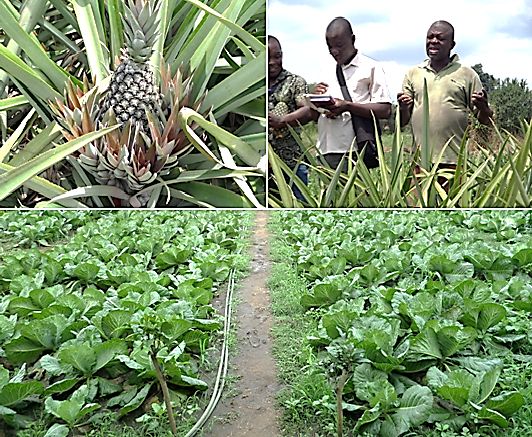 This new area of intervention complements the GREEN Project, which focuses on vegetable production in southern Benin. To overcome this, both access to nutritious foods and health education are required. Most Beninese children are fed pate, a corn-meal paste unaccompanied by fruits or vegetables. Pate alone is believed to be a source of strength. In response, PfD developed training materials on the importance of vegetables and fruit for both children and adults and hold community-based education sessions with vegetable farmers and their families. PfD uses a variety of tactics to combat these threats to food security. Sanitation and hygiene trainings are conducted alongside those in nutrition. Culinary demonstrations show cooks how to preserve nutrients of their preferred dishes. 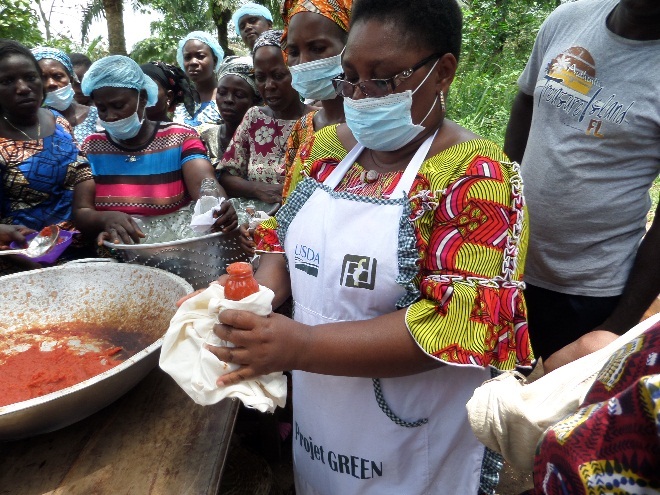 Through the GREEN Project, PfD has developed and trained farmers and market sellers on techniques of vegetable preservation, such as drying and canning. 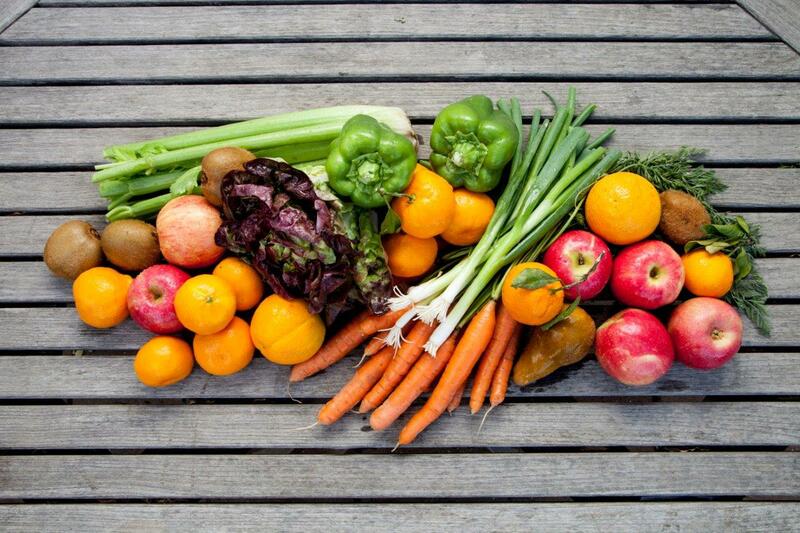 While fresh fruits and vegetables are the most nutritious, proper preservation retains some nutritional value. In addition to hands-on trainings at the village level, PfD has partnered with local radio stations to broadcast short public service announcements and longer educational programs on the importance of proper nutrition and hygiene. They also work in collaboration with GREEN’s mobile messaging system to send mass SMS messages on nutrition and hygiene to the thousands of farmers registered on it. This combination of mass media with grassroots education is at the heart of PfD’s effort to help end malnutrition in Benin. 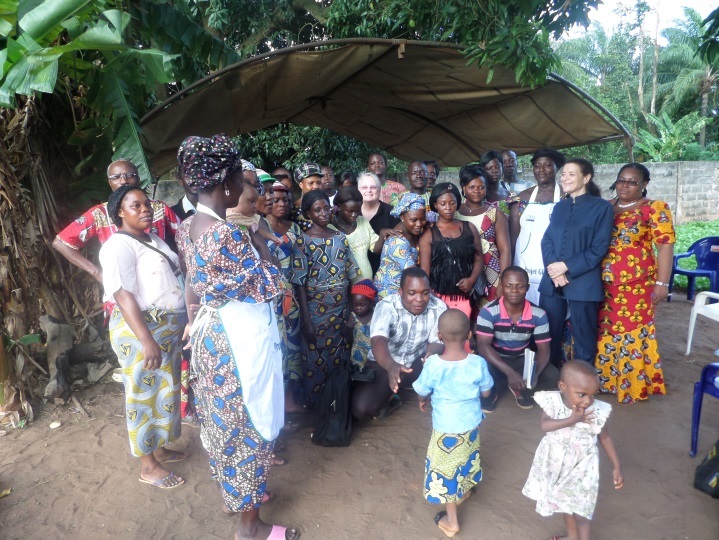 PfD is committed to improving the health of children and families in Benin. “Thanks to the GREEN Project, I sell lots of really good vegetables,” says Bonaventure Odoubiyi, a farmer near the city of Allada whose high quality vegetables have earned him the exclusive clientele of a prestigious hotel in the area. Before his introduction to Project GREEN (GREEN blog post), Bonaventure was a typical vegetable farmer in Benin who grew only local vegetables and followed traditional cultivation methods by using large amounts of cheap, ineffective fertilizer, overcrowding his small plots, and relying exclusively on rain for irrigation. With little bargaining power, Bonaventure sold his produce at the nearest market to whomever he could at whatever price, earning only around 30,000 CFA ($60) a month. Wanting to develop his business, Bonaventure began attending GREEN trainings, where he learned how to improve the quality of his vegetables and increase crop yields. 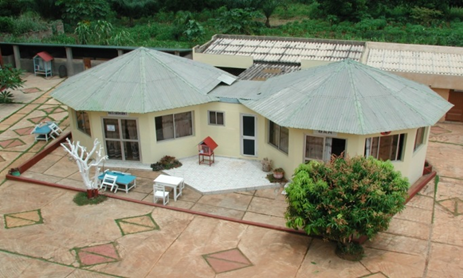 Through GREEN’s market and business management training, Bonaventure learned about market-driven crop production and how to approach local markets when looking for new clients, leading him to discover the Royal Palace Hotel, an upscale French-owned resort just outside the small city of Allada. To provide for the hotel, Bonaventure began to grow vegetables such as eggplant, radishes and beets, which are not sold on the local market but have a strong clientele with foreign restaurants and hotels like the Royal Palace that tend to pay more for higher quality produce. Bonaventure engaged the finance and business skills he learned from GREEN to successfully apply for a small loan of $1,000 (500,000 FCFA) from the Federation of Savings and Loans Institution, GREEN’s micro-finance partner. After purchasing a nearby field, he bought a motorized pump to irrigate his crops, and his hard work and investment began to pay off as he saw an improvement in the quantity and quality of his produce. Bonaventure then decided to bring samples of his new crops to the Royal Palace Hotel. Impressed with the quality and variety of his selection, the hotel immediately purchased all of his produce and even offered Bonaventure a contract to continuously supply them with his vegetables. Bonaventure’s business with the hotel grew rapidly, but despite his larger and more productive fields, he still could not meet the demands of the Royal Palace. Consequently, Bonaventure reached out to other GREEN-trained vegetable growers to help him meet the demand. 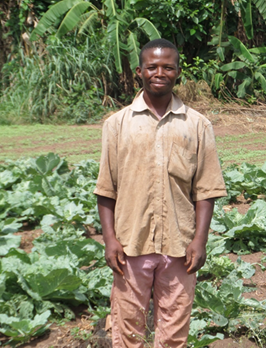 Now, Bonaventure is a farmer, as well as the head of a vegetable supply business. His own crops supply about 30% of the Royal Palace Hotel vegetables, while the rest comes from his network of GREEN farmers. The hotel has been so impressed with the quality of Bonaventure’s weekly deliveries that over the past year they’ve recommended Bonaventure’s produce to another upscale hotel that also offered him a contract for his vegetables. Bonaventure is proud of his accomplishments, new business and increased income. Thanks to GREEN’s support and training, he now makes nearly $300 USD (150,000 FCFA) each month, five times more than he used to earn. Every time he adds clients to expand his business, he contracts GREEN-trained farmers to help meet the demand. Bonaventure is becoming a successful entrepreneur, and he credits part of his achievement to all of the help and support from the GREEN Project. With around 70% of Benin’s population dependent on income generated through agriculture and livestock production, and with 35.2% of the population living in poverty, increasing productivity and incomes in the agriculture sector is essential to improving livelihoods in Benin. Farmers in Benin, however, face many challenges including an inadequate supply of inputs such as fertilizers, post-harvest losses of 25% or more, limited market information, and little to no access to credit (USDA GAIN Benin, 2014). 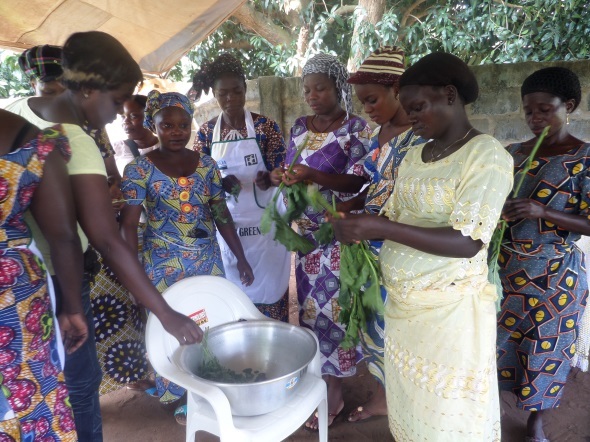 To support Beninese farmers to address these problems, the USDA-funded Growing Resources for Enhanced Agricultural Enterprises and Nutrition (GREEN) Project helps smallholder vegetable farmers improve and increase crop production and expand the sale of their produce. The GREEN Project works directly with local farmers’ associations and organizations and individual farmers, providing them with the training and tools necessary to train farmers to overcome obstacles through improvements in cultivation techniques, increase understanding of value chains and market-driven production, and improve post-harvest management and business skills. As shown in the diagram above, the GREEN Model involves four major activities: 1. Hands-on, field-based training; 2. Access to credit; 3.Market information and access; and 4. 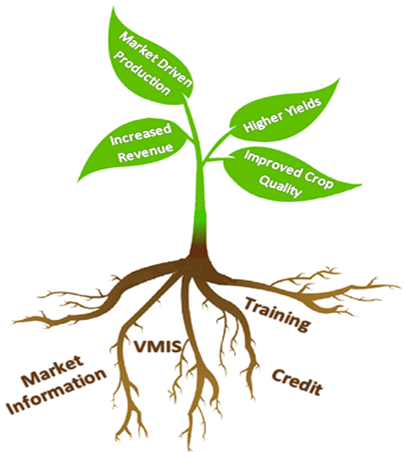 Vegetable Market Information System (VMIS). Combined, these interventions have led to market driven production, increased revenue, higher yields, and improved crop quality. Training: Our approach: learning by doing. PFD provides local organizations with resources, knowledge, and training on business, marketing, the value chain and new farming techniques. In turn, these organizations, with their newly acquired knowledge, deliver interactive trainings in the field, giving the farmers the opportunities for hands-on learning. This way, the capacity of local organizations is strengthened as well as the capacity of individual farmers. Through this approach, the GREEN Project has trained over 11,000 farmers in improved cultivation technologies and over 4,000 farmers in post-harvest technologies and value chain approaches. For instance, working with the Agriculture and Food Technology Program, PFD held a week-long hands-on training focused on food processing and preserving. Processing food allows for farmers to sell their products throughout the year, increasing food security. Take tomatoes for example: by transforming part of their tomato crop into tomato purée, farmers are able to stock-up for the off-season when products become expensive and most families are unable to buy the vegetables needed for basic nutrition. 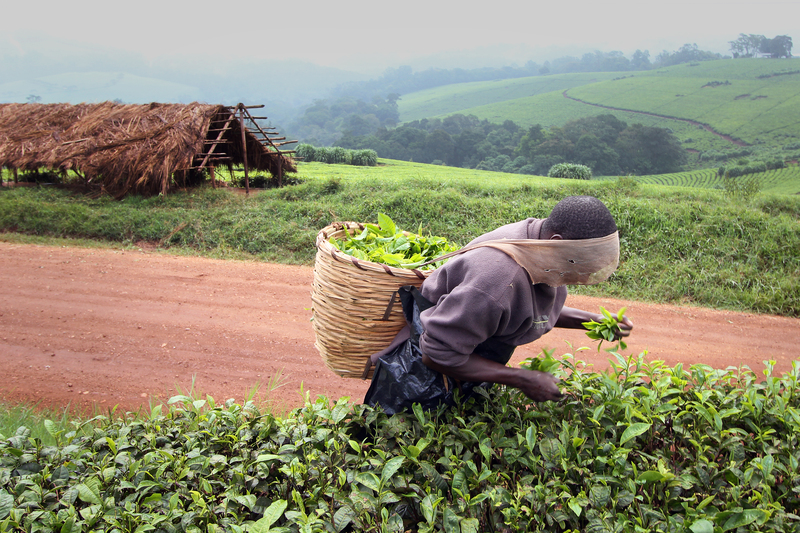 Market Access & Information: GREEN promotes farming decisions based on real-time information. In Benin, many farmers are solely focused on their crops and therefore do not fully understand the value chain. Some farmers have never visited the marketplace where their products sold and crop selection is based on what their family has planted for generations. GREEN’s trainings on the markets and value chain involve trips to the markets to analyze the demand and supply of different vegetables and produce. By actively engaging the farmers in these trainings, PFD and its partners help farmers understand the consumer demands, diversify their crops, expand their markets and ultimately, raise their incomes. For instance, working with the Agriculture and Food Technology Program, PFD held a week-long hands-on training focused on food processing and preserving. Processing food allows for farmers to sell their products throughout the year, increasing food security. Take tomatoes for example: by transforming part of their tomato crop into tomato purée, farmers are able to stock-up for the off-season when products become expensive and most families are unable to buy the vegetables needed for basic nutrition. PFD, in collaboration with ESOKO a Ghanaian firm, developed a specific vegetable market information system (VMIS) that sends real-time SMS messages of local market prices to farmers, processors, wholesale buyers and sellers. While working in their fields, farmers can access the daily information and better negotiate the prices for their crops. PFD’s VMIS, recently featured at the Agri-Hub Benin Agricultural Finance Fair sponsored by SNV-Benin, registered hundreds of new users. 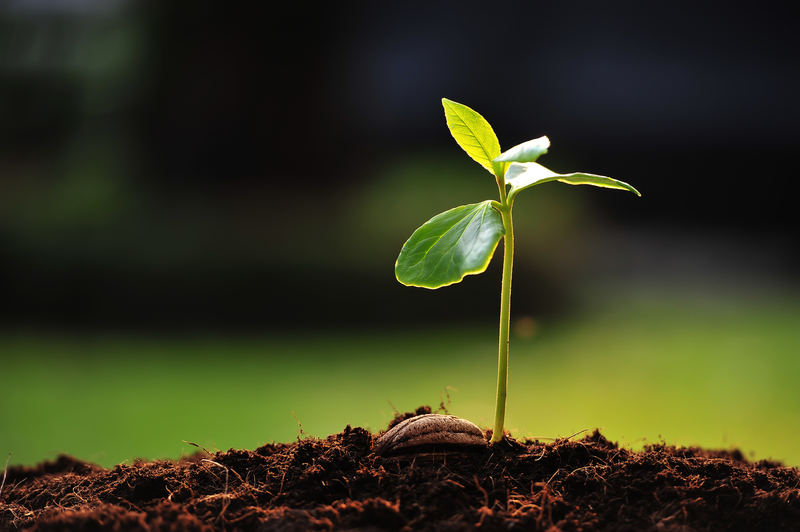 Access to Credit: The GREEN Project expands access to credit to farmers. GREEN partners with local Beninese banks and microfinance institutions and builds their capacity to loan to smallholder farmers. 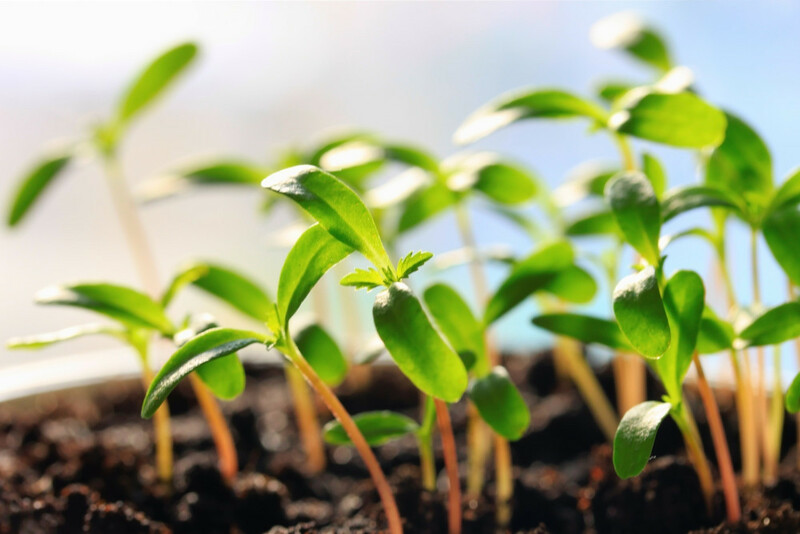 Vegetable Producers Without Bordersfaced real challenges when they began planting in 2009: from insufficient technology such as irrigation systems to an ongoing struggle to find good markets. Enter GREEN. PFD trained the group on how to develop detailed business plans allowing them to access credit which allowed the farmers to increased cultivation from ¼ hectare to two hectares and diversify their crops. 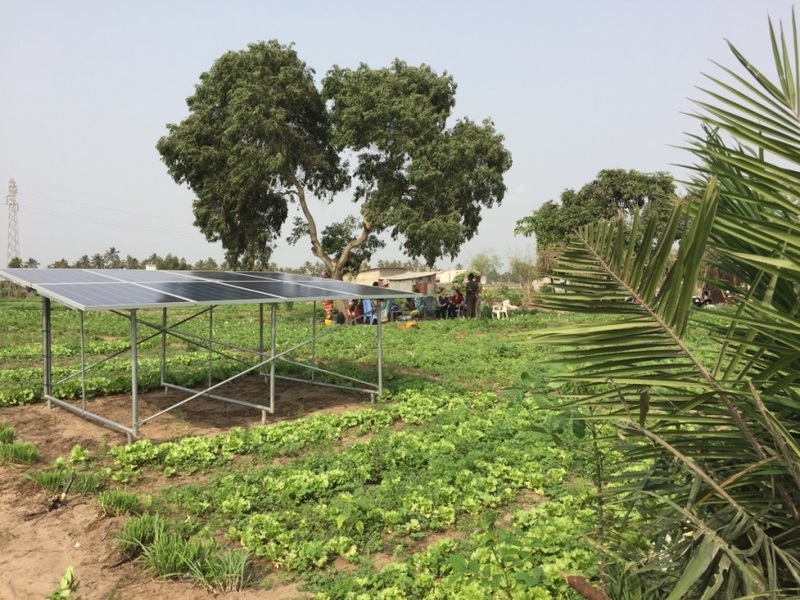 Vegetable Producers Without Borders are now on their second loan and have installed an irrigation system allowing them to produce higher quality crops and expand their market to new Beninese towns and even into Nigeria. By building capacity of both local organizations and individual farmers and by intensively involving farmers in trainings, PFD continues to plant seeds for sustainable and lasting growth in Benin. Through GREEN Project trainings, 96% trainees adopted the improved cultivations methods taught. Targeted farmers’ income also increased, with an over 220% increase in net sales revenue from their vegetables. Find out more about PFD’s work in Benin and in agriculture.